BB: Hi Rebekka! For any of our readers who haven't yet discovered Forever Rebekka could you tell us a little bit more about the girl behind the blog? I’ve always had this passion for writing. From such a young age I wrote poetry, I wrote stories, and I was always writing – or reading. At the time of starting my blog, I wasn’t going through the best time, and through my blog I was able to reinvent the person behind it, and as a result reinvent myself. Although my blog may not have a huge following, it’s given me so much confidence and so much certainty that writing is what I want to do. BB: Where does your love of reading come from, and what made you decide to start blogging about books? I can’t remember a time when I didn’t read excessive amounts of books if I’m honest. My Nanna and Grandad used to take me shopping at the weekends and would always buy me a book. I used to read lots of Jacqueline Wilson, The Faraway Tree Stories, and there was this book about ballet which I loved but have no idea what it was called! 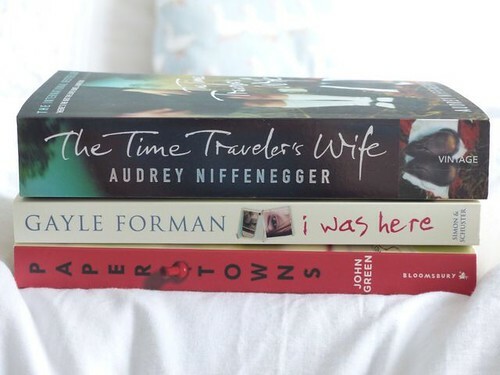 I started blogging about books only recently because I found myself loving reading other book blogs, I have such a passion for reading and writing that I needed to talk about the book I’d just read, and my blog seemed like the best place to do that. Plus, how can I possibly keep those pretty spines to myself? BB: We're always looking for recommendations! What has been your favourite read of the year so far? I’m proud to admit that I’ve read 19 books this year. It may not be a lot to some but in the entirety of 2014 I only read 22 books so it’s quite the achievement for me. I think my favourite book of the year has got to be The Time Traveller’s Wife by Audrey Niffenegger, it’s such a brilliant story that deserves much more hype than it receives. I’ve also loved Just One Day by Gayle Forman, Anna and The French Kiss by Stephanie Perkins, and Paper Towns by John Green. 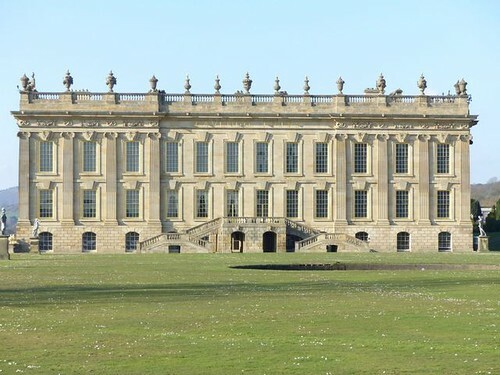 BB: You recently shared some beautiful photos from a visit to the place used as Pemberley in the latest adaptation of Pride & Prejudice. Do you have any other favourite adaptations you think our readers would enjoy? 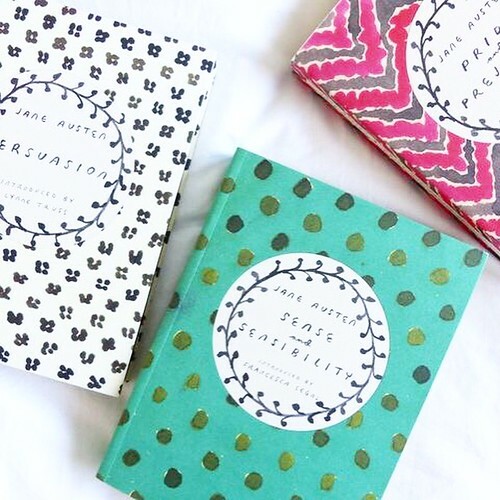 I absolutely love Pride and Prejudice so I’m intrigued by the settings and history of these 18th century authors. There are so many books that are being made into amazing movies nowadays that I’ve found it difficult to decipher which are better. I know, how shocking! I love PS I love you, although it is very different from the book. I’ve also loved Love Rosie, Divergent, The Fault In Our Stars, and of course The Time Traveller’s Wife. BB: Just for fun, which two fictional characters from different books or series would you like to see appear together in a new story? Hmmm, good question. I think Four and Katniss would make a good book, especially since I find Tris and Peeta incredibly annoying. Alternatively I’d love to put a modern day character inside a book of the past. I think we depend on technology and materialistic things too much these days, so I’d love to be able to time travel back to then and forget about all the social media, and experience the simplicity of their lives. And why not live that through the characters of a book, I’m not sure which modern day character I’d place but I’d definitely mingle them with Mr Darcy, because why not. 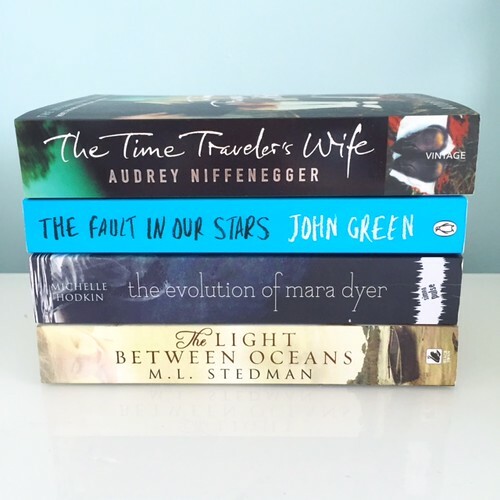 BB: Finally, we're always looking for new blogs to read, which book blogs are your favourites? Being more of a lifestyle and book blogger, I read so many lifestyle blogs as a result. Although some of these mentioned aren’t exactly book blogs, their posts are equally as good and I find myself constantly looking back for new posts. So instead of featuring my favourite book blogs, I’ll feature my favourite blogs of all time, and I suggest you take a look. I'd like to say a huge thank you from all of us here at BB to Rebekka for taking part in this interview. If you are a booktuber or book blogger and would like to be featured in a similar post we'd love to hear from you - just email us at bloggersbookshelf@gmail.com for information!